Did you have a favorite storybook when you were a child? Is there one book that your child wants to read with you every night? At our house, we love story time cuddles! I’ve gathered some storybook party ideas that include many of the stories children love. You probably remember a lot of these from your childhood as well. If you could turn any storybook into a party, which story would it be? Let us know in the comments below. You are going to be blown away by this Goldilocks and The Three Bears Party by Paula of Frog Prince Paperie! The amount of detail is amazing! Check out this adorable table bed – so cute! There are a lot of posts with ideas and details about this party so I’ve included them all in the link above. 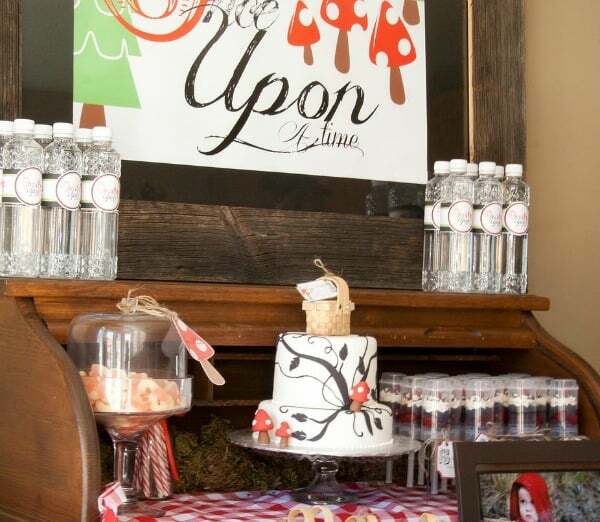 I know I’ve mentioned this before but this Little Red Riding Hood Party by Katelyn of Events by Kate is one of my favorite parties of all time! It’s such an adorable theme for a party and Katelyn really puts in that special touch to make this party a spectacular one! 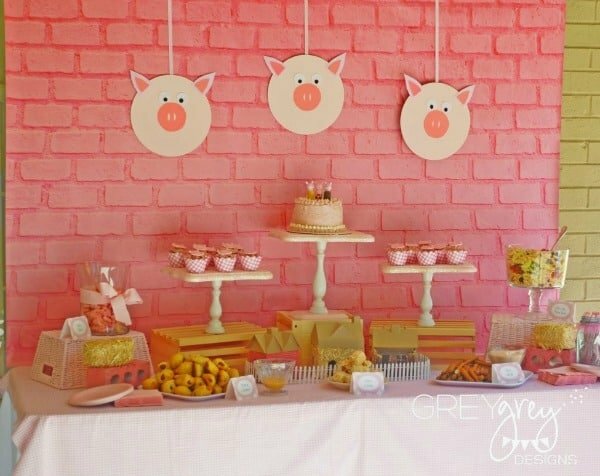 Seriously, this Three Little Pigs Party by Brittany of GreyGrey Designs could not be any cuter! My favorite color is pink so that catches my eye right away and all of the little details are adorable! She really has thought of everything in this sweet party theme. This Guess How Much I Love You Party by Sweet Tables by Chelle featured on Spaceships and Laser Beams would be perfect for a baby shower or a child’s birthday party. I love the way they worked the garden into an indoor theme. 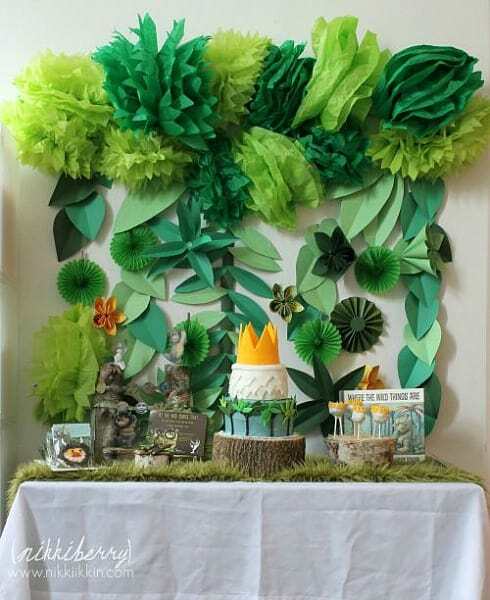 Check out the backdrop for this Where The Wild Things Are Party by NikkiikkiN – stunning! 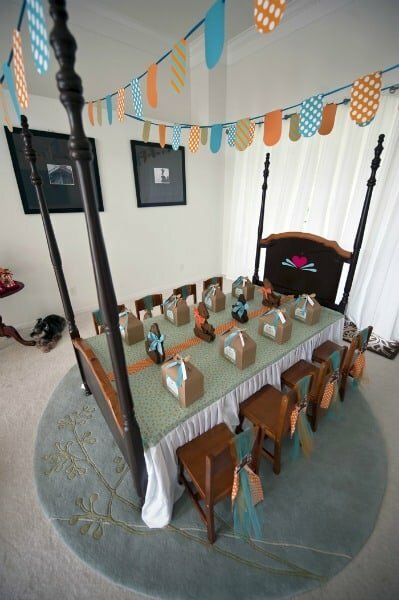 There are so many great details in this party that are sure to impress your birthday boy or girl and guests! This The Lorax Party by Smita of The Party Wall is another party filled with so many little details to create a masterpiece! 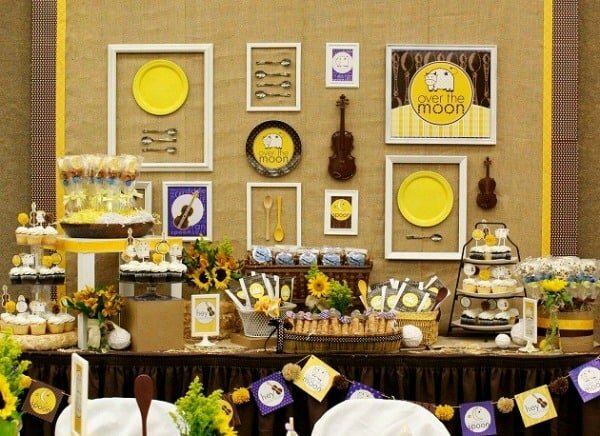 From decorations to food and activities, you’ll find all the inspiration you need here for a Lorax-themed party. 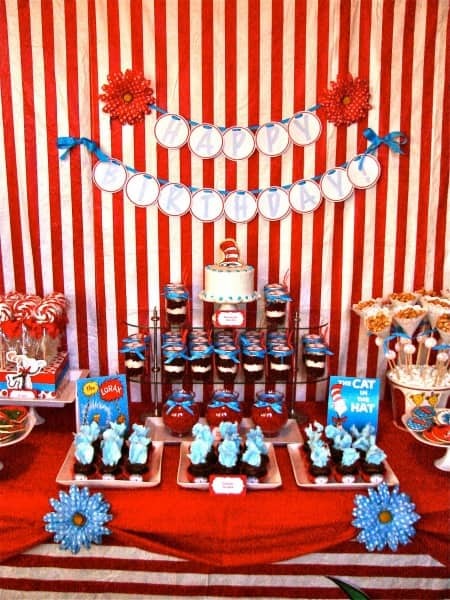 Don’t forget to visit our special Dr. Seuss category for even more fun ideas for parties, crafts, games, food and more! I don’t think there is a kid (or parent!) out there that doesn’t love Dr. Seuss books. 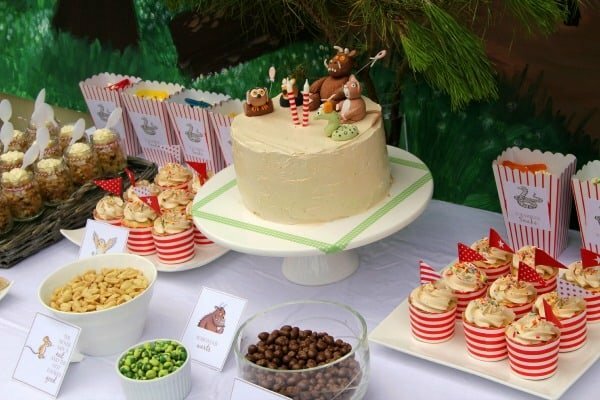 This Dr. Seuss Party by Oh Sugar Events is filled with fun ideas inspired by many of these popular books. This Hey Diddle Diddle inspired Over The Moon Party featured on Celebrations At Home is so sweet! Check out that amazing backdrop! If you think the backdrop is amazing, just wait until you see the rest of the party! 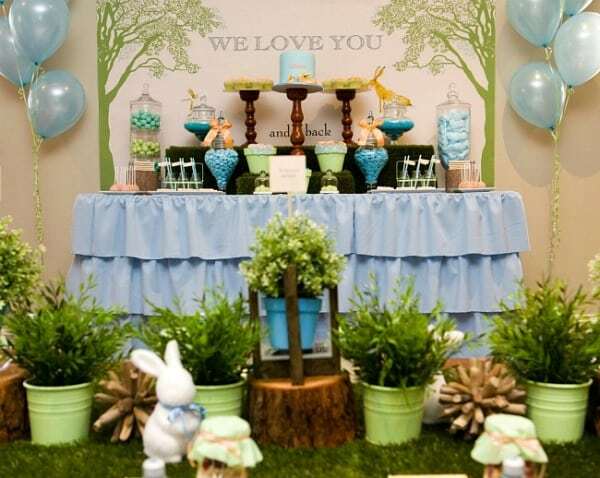 This theme would be perfect for a baby shower or a first birthday party. My little guy loves The Gruffalo book. He always covers his eyes when the Gruffalo appears but he wants to keep reading the book over and over again. This The Gruffalo Party by Vanessa of The Bubbalino Kitchen is full of creative and clever ideas featuring the characters and scenes from the book. For more creative party ideas and ideas for family fun, follow us on Facebook, Twitter, Pinterest and Bloglovin’. 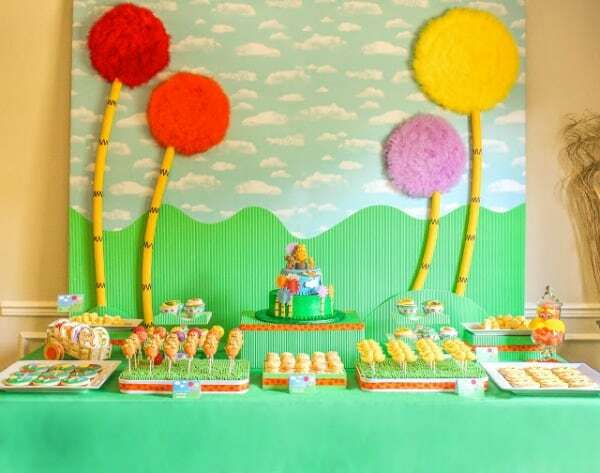 I love the Lorax party; those trees are such a hoot! I saw your post on The Mommy Club and had to check it out since I’m pinning ideas to my Birthday Party Pinterest board for my daughter’s party in December. Awesome party ideas, I love them all! One of my favorite childhood books was Go, Dog! Go! so I was thrilled when it was my son’s favorite at his third birthday and I could use it as his party theme. Lately my daughter is loving Dear Zoo so I am hoping I can use that for her third birthday in May. I haven’t heard of Dear Zoo but now I’ll have to look for it at the library! We also haven’t read Go, Dog! Go! so that’s another to add to our list.